and diverse events,attracted over 15,000 visitors from 71 countries. For Xiuqiuji, I got the image in the creation of Contemporary Chinese Ink Paint Art and uses it in fashion design of the opera. It is a happy ending in the traditional performance while the adaption of the opera focuses on the awakening of personal consciousness of contemporary females. Artistic emotions of ink paint match the heroine’s spiritual images. 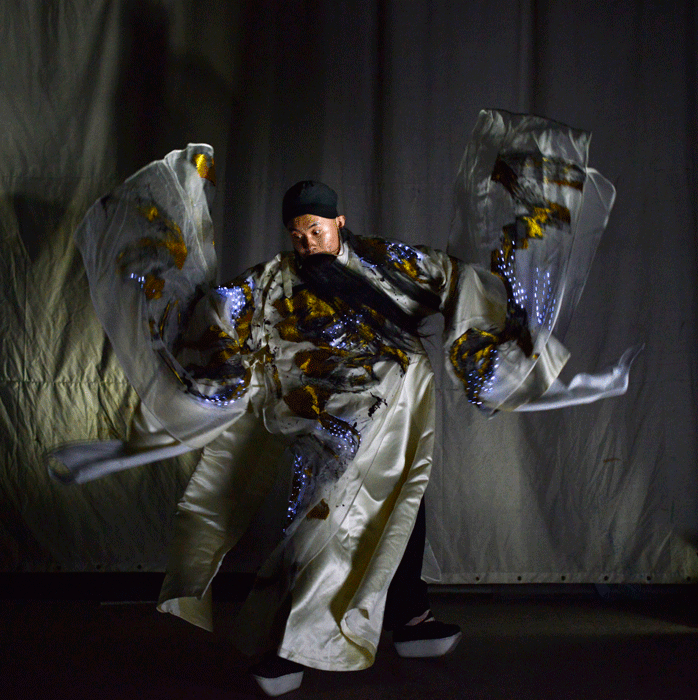 In addition, it provides different ways of design and creation of Chinese opera clothes in contemporary performance works. 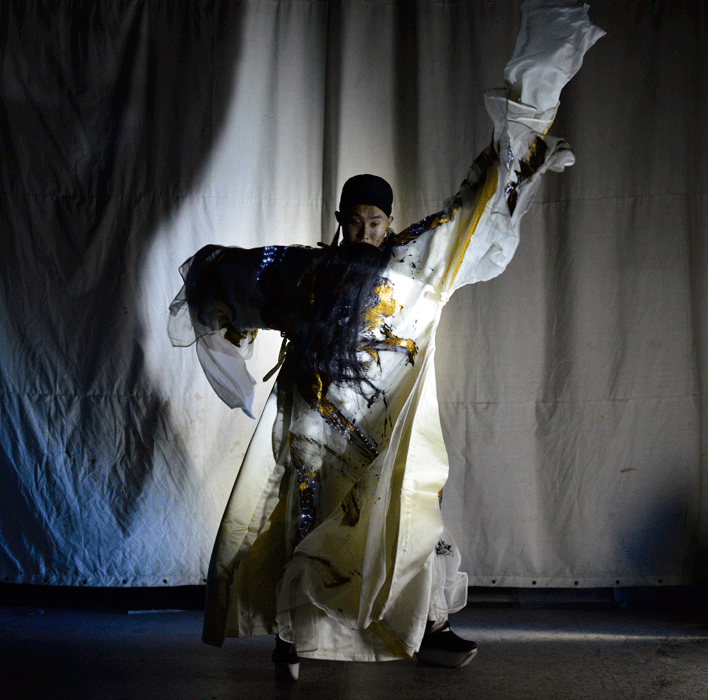 The costume designing of this play is the experimental creation of contemporary Chinese ink painting art in Chinese opera costume design. The form of ink painting varies with the artist's emotion. In the aspect of design concept, through contemporary understanding and feeling of the role, it converts into personal emotion, and reflect this emotion in the clothing of role, which produces imaginization effect upon combining the performance of the actor. 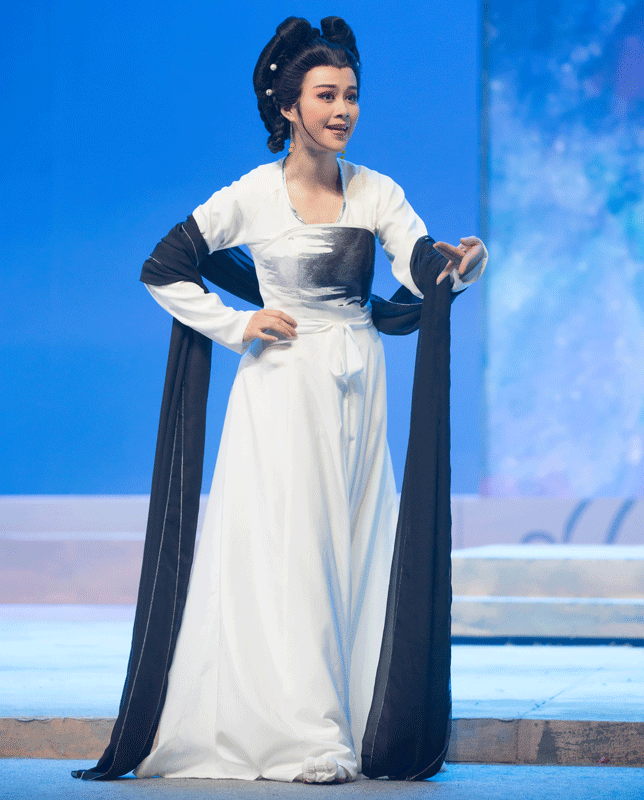 Qin Wenbao studied stage design and costume design in Shanghai Theatre Academy. Later, he practiced drama creation in the drama troupe of GuangXi province in China and became a professional drama designer. He later worked in the Stage Design Department of the National of Chinese Theatre Arts with responsibility of teaching and design. 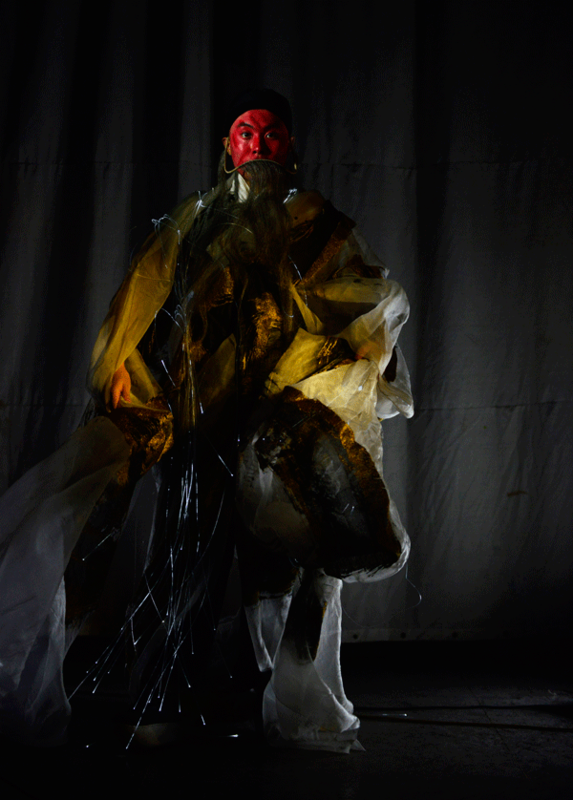 He has been appointed as stage designer and costume designer for Performances. 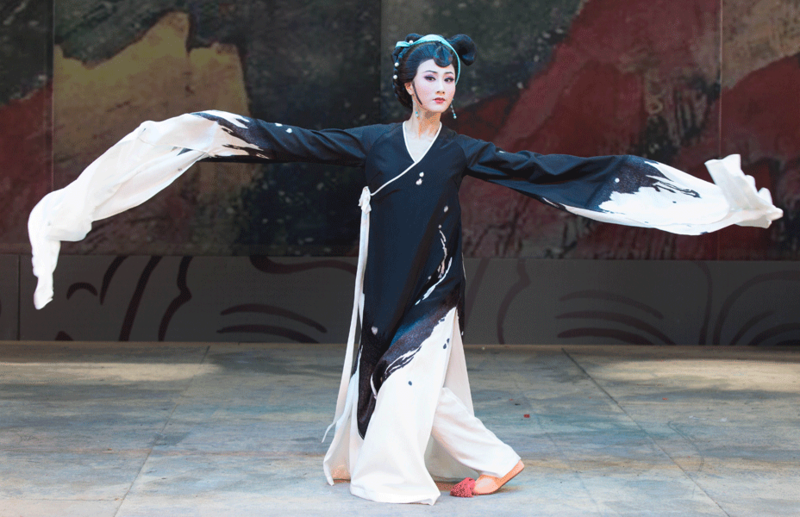 The costume designing of this play is the experimental creation of contemporary Chinese ink painting art in Chinese opera costume design. The form of ink painting varies with the artist's emotion. In the aspect of design concept, through contemporary understanding and feeling of the role, it converts into personal emotion, and reflects this emotion in the clothing of role, which produces imaginization effect upon combining the performance of the actor. 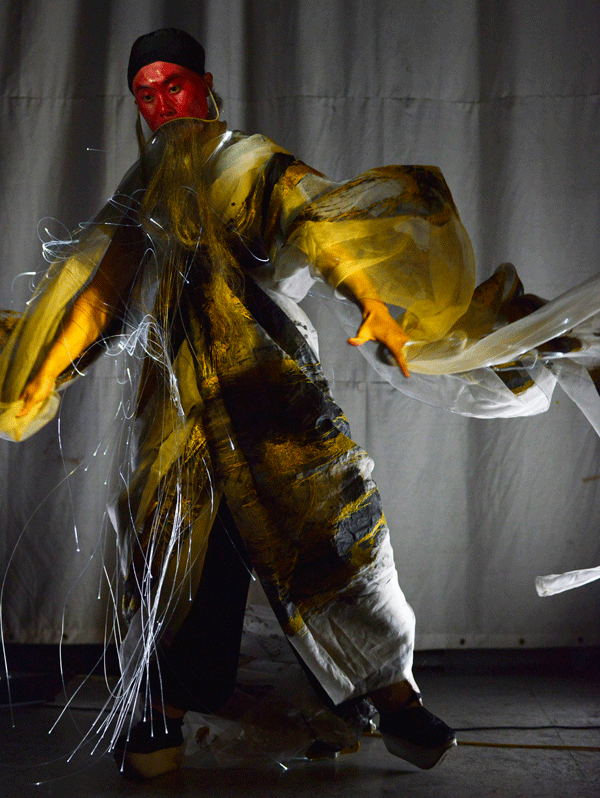 Explore contemporary visual aesthetic artistic concepts in artistic works of opera stage. In recent years, I also integrate ink painting, embroidery, and digital images (light-emitting fiber, LED, etc.) for experimental creation.